[학술논문] 미세자가지방이식술을 이용한 함몰된 상안검의 교정. 미세자가지방이식술을 이용한 함몰된 상안검의 교정. 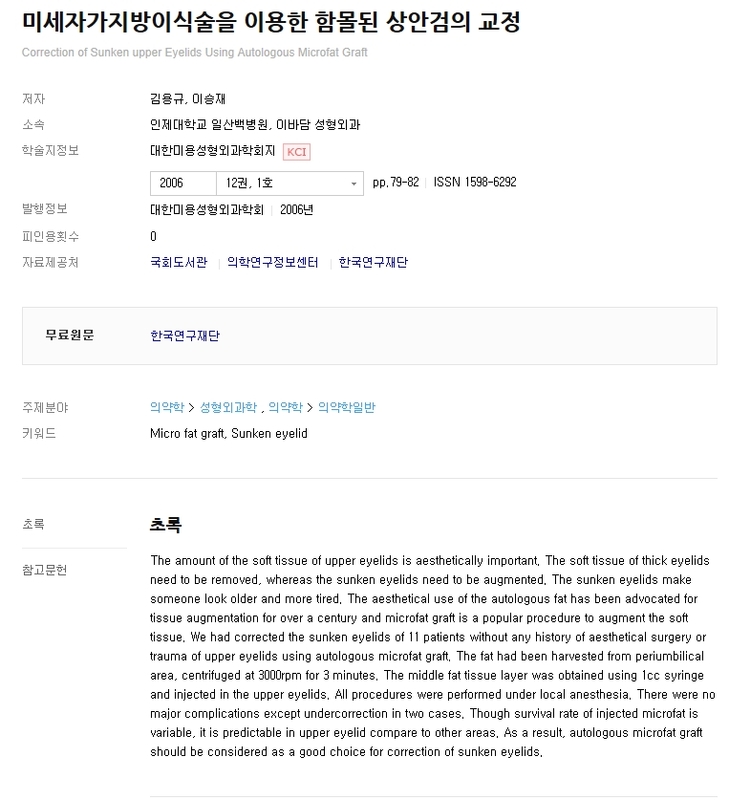 Correction of Sunken Upper eyelids Using Autologus Microfat Graft, 2006.